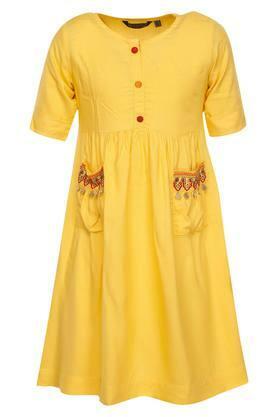 This kurta from Stop has been designed with an extra care to ensure that your girl stays comfortable all day long. 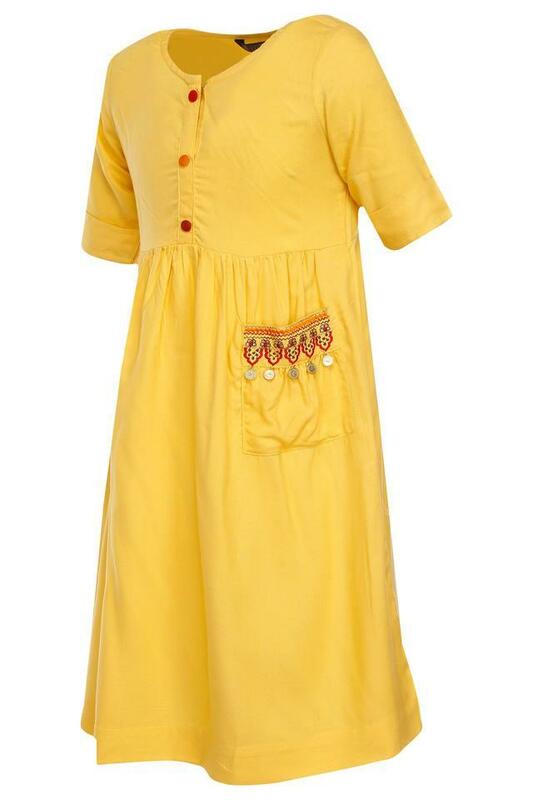 Besides, it has a solid pattern thus making it all the more fashionable. It also has a round neck and half sleeves that further add to the design. 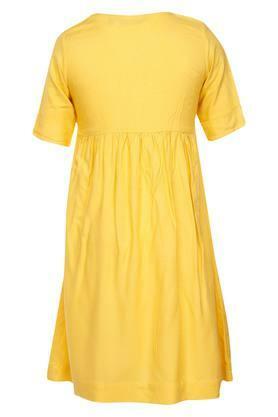 A fusion of style and comfort, this kurta will be a great choice for your daughter. You can make her wear for any casual occasion, where you want her to be the centre of attention.